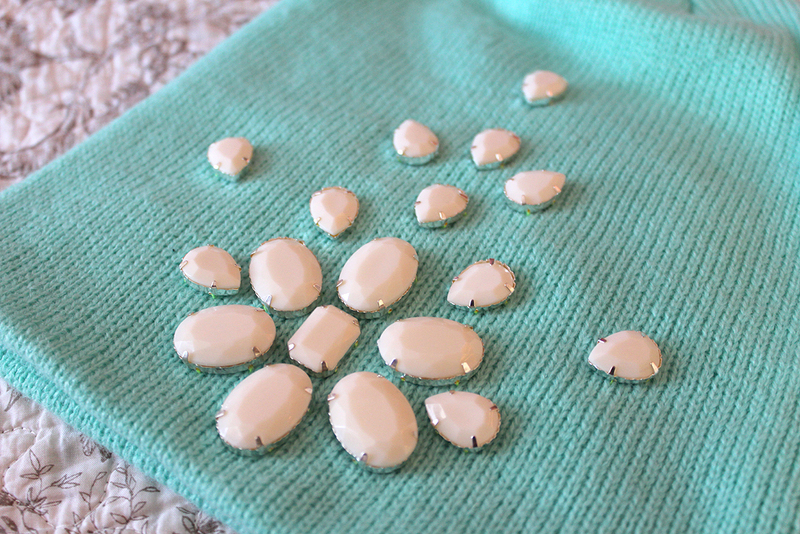 Sew-on flat back gems (be sure they have the small holes for sewing—glue works on stiff woven fabrics, but for knits you’ll want to sew to prevent the embellishments from popping off). 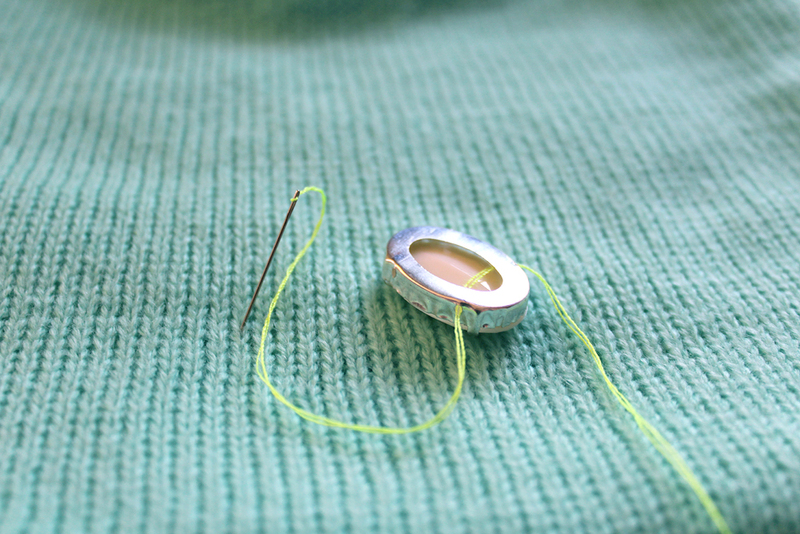 Basic sewing supplies like a needle and scissors. 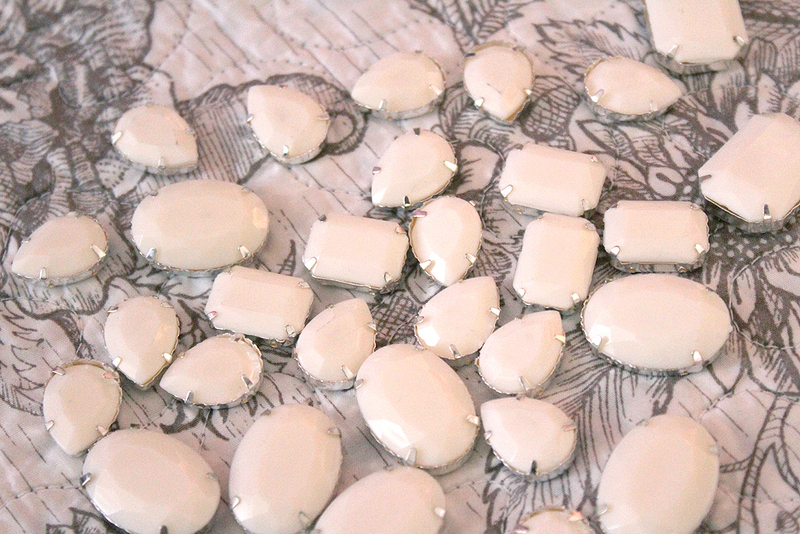 Hint: I bought a variety of flat back gems in bulk on Etsy. Do a little searching and you can find some there, too. If you’re in NYC, check out M&J for an epic jewel selection. 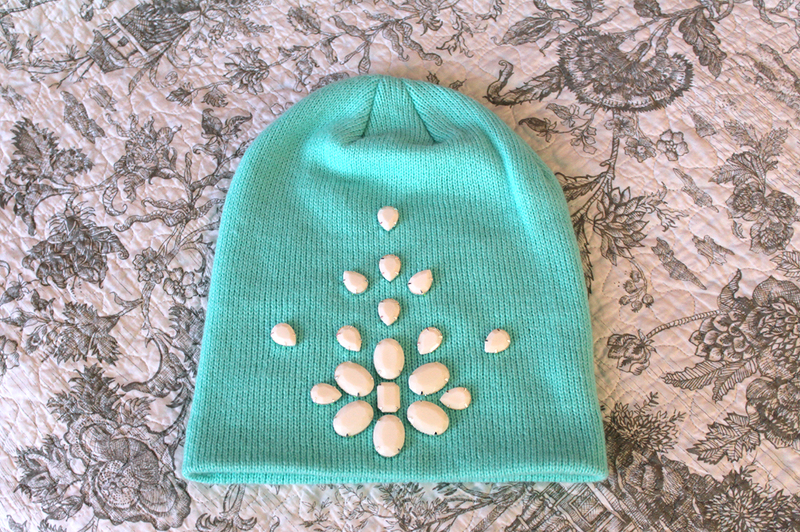 Step 1: Lay the hat out on a flat surface, and lay out the gems in a motif that you like. Snap a picture of your ideas with your phone, so you can reference it as you’re working. 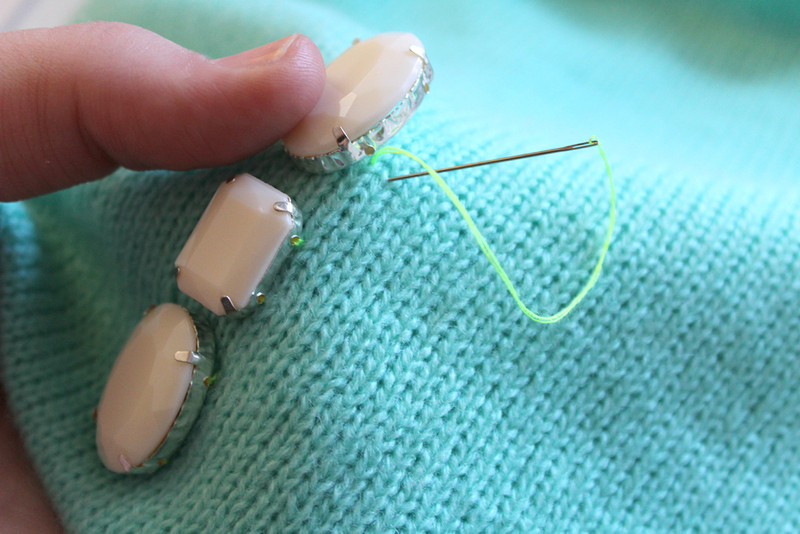 Step 2: Once you’ve settled on a layout, start from the bottom center and add your first gem by tacking it on from the back, threading through the sewing holes and back into the fabric. 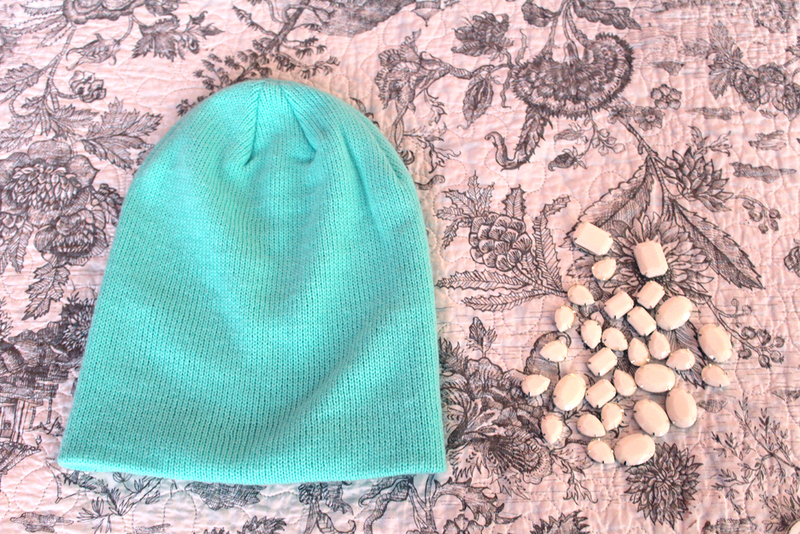 Hint: With knit you’ll have the slightest bit of wiggle room to correct a crooked gem by guiding it with a correcting stitch and pulling the thread taught, but be careful as this may cause a pull in the fabric. Step 3: Work your way up the center of your design. This will provide you with a guide for staying symmetrical as you add the other gems. 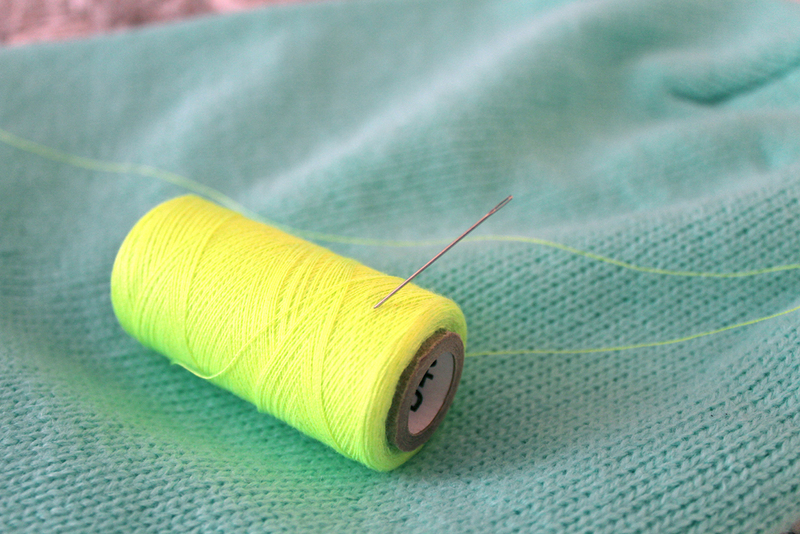 It may also save thread. 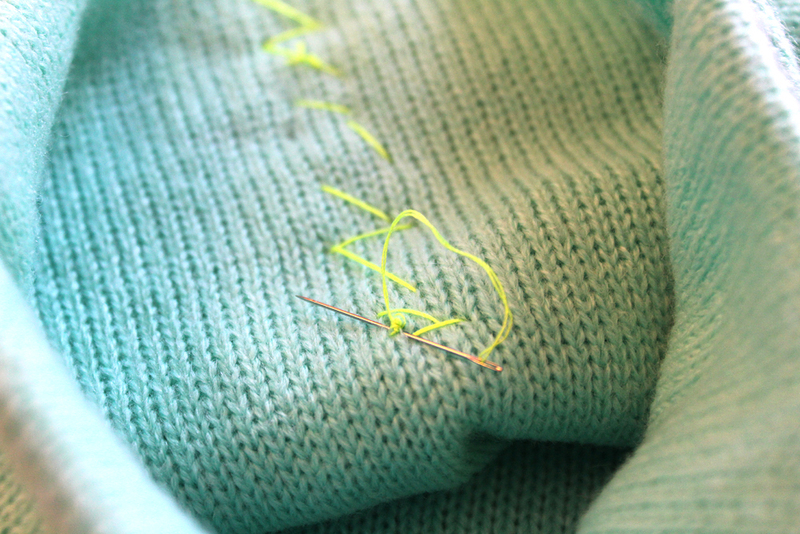 Hint: Make small double stitches as you go to prevent the whole design from falling off if you happen to snag and rip the thread at some point. Step 4: Once the center is done, work your way out on each side, double checking the design as you go, to ensure everything is aligned. 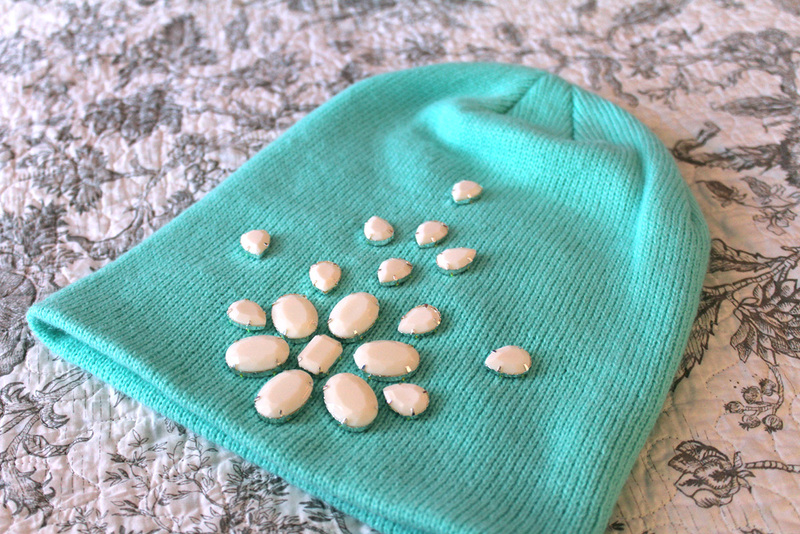 Attn perfectionists: It might make you more confident to mark off your pattern with a white chalk pencil before you begin sewing the gems that are further away from the center (or you can just eyeball it—clearly I’m not a perfectionist!). 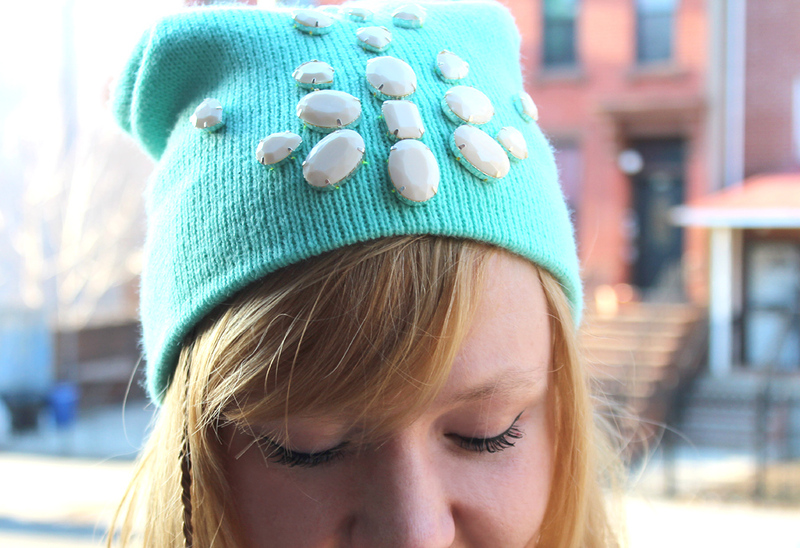 In the end, you’ve got yourself a lovely spring hat that looks almost good enough to eat. Yep, I said it. It reminds me of candy. Mmm. 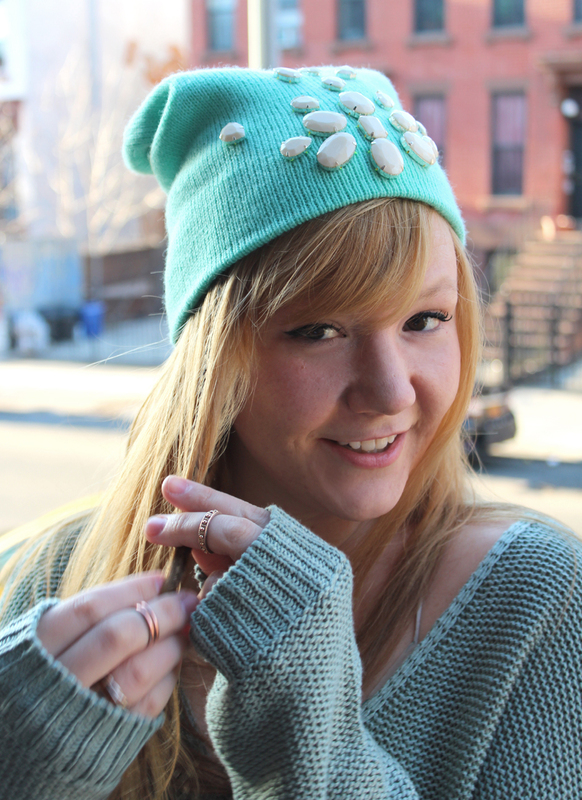 Step 5: Resist eating your delicious new hat, and take it for a spin! 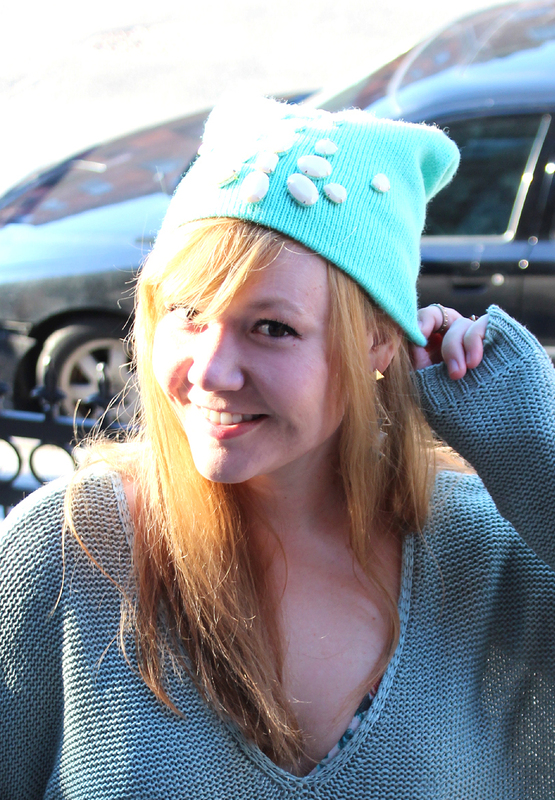 Big smiles from sunny Brooklyn! I hope you enjoyed this little tutorial. If you make something similar, I want to see it! Leave a comment to your blog or instagram post below.